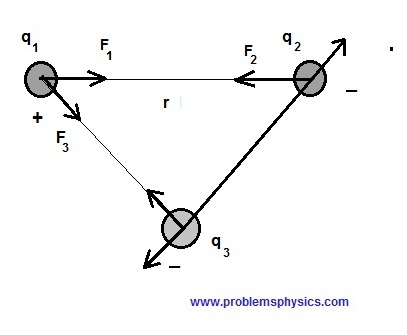 Tutorials on electric forces with examples and explanations. Electric charges of the same sign repel each other and charges of opposite signs attract each other. where $|F_1|$ and $|F_2|$ are the magnitudes of forces $F_1$ and $F_2$, $r$ is the distance separating the two charges $q_1$ and $q_2$ and $k$ is a constant.